Guest Post: Looking For a Storage Facility? 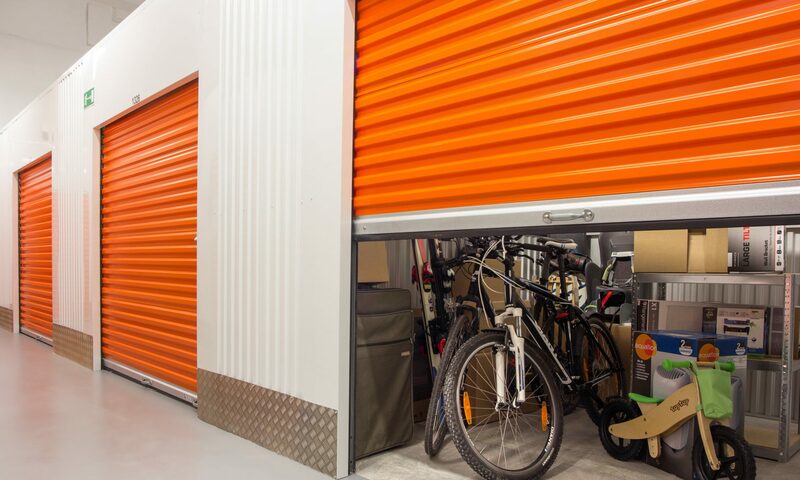 Are you looking for a storage facility to accommodate some of your belongings? Do you feel that your home has become too cluttered already? You are definitely not the only one lacking enough space at home. It seems that more and more people require more storage space these days. It’s quite convenient when you have that extra storage space, that’s also safe and easily accessible. You can store anything you could think of – vehicles, equipment, tools, collectables, furniture, artwork, etc. There are different types of storage options available; some of these types are: moving company storage service, self-storage units in facilities, mobile storage in containers, climate-controlled storage for vulnerable items, temperature-controlled storage and more. No longer does storage space mean just a huge warehouse. This industry has grown significantly in recent years and storage options are becoming better and better. They are also quite affordable and for a monthly fee you get a big storage unit for your belongings that you can use whichever way you’d like. A self-storage facility can be inside a building or outside of town, surrounded by a wall. The available units are of various sizes and each has its own code and unique key available to the client. CCTV cameras record 24/7 and there are also live guards on site. Usually the access to the facility is during the regular business hours and also at the weekend, since that’s when most people are free. Packing boxes can be provided, as well as professional packing service and trolleys. Mobile storage involves the use of a compartment which is sent to the client by a storage company. The client fills the vault, trailer or container that’s made of steel or wood and then the storage company picks it up. It’s quick, easy and extremely convenient because you can store anything you want inside. However, there are also packing precautions you should take. If you need to pack fragile items, furniture, antiques and electronics, you need quality packaging supplies and appropriate techniques. The goal is ultimate safety for your belongings and ensuring that they won’t be damaged during transportation and storage. Each storage option has its benefits, but none of them will be perfect for you unless you choose it according to your specific needs. If you need regular access to the unit, choose a local storage facility that is not too far from your home. The difference between temperature-controlled and climate-controlled storage units is that the first one allows fluctuations in the temperature and the temperature is similar to that in the whole storage facility. The climate-controlled, on the other hand, controls the entire climate inside the container, as well as its humidity. Consider these various storage solutions and pick the one that will work best for you and the type of items you need to store. Who doesn’t want to be able to store easily everything they own? We all buy stuff that we sometimes don’t use and we all need more storage space in our homes. What is the best way to store all your extra items, without cluttering your home? One of the ways is by investing in a private storage unit. It could be the best decision you’ve ever made – an opportunity to declutter your home and ensure complete safety for your belongings. Not everything can be stored at home – some items require special handling and packaging, others require a climate-controlled environment and some are simply too big to store in the garage. The growth in self-storage industry has been significant in the past decade. It’s because more and more people need extra space, while homes are becoming smaller and smaller. Whichever the reason, a storage unit is a great way to keep your precious possessions and have access to them without cluttering your home. Self-storage units can be used in many ways. Here are some of their basic purposes and some modern usages. A convenient back-up plan for a family on the move: Everyone knows how hard relocations are, especially when you end up realizing you own more that you had imagined. Suddenly it seems like mission impossible to pack it all and move it within a reasonable budget. Some of your items will have to be trashed, while others could be recycled. But what should you do with those you’d like to keep, yet won’t be able to accommodate in your future home? Do you simply get rid of them? Not necessarily – you could rent a self-storage unit and save yourself the trouble and the stress. Once you have moved and managed to settle down, you could take the time to figure out what to do with each item – throw it away, sell it or give it to charity. During renovation or remodeling of the house: Yet another convenient usage of self-storage is while you are busy renovating your house and everything is a big mess. People usually take this opportunity to also do a house clearance and get rid of some of the old and unwanted items. Put them in a temporary storage unit, until you decide how to proceed. This way you can focus on the renovation works without getting distracted. For collections: One of the many uses of a self-storage unit is for keeping there various collectables. If you have a hobby that requires lots of equipment, you could easily store it in a climate-controlled unit. You could put shelves inside and make it extremely convenient. Warehouse for small businesses: A storage unit can be the perfect place to store documents, equipment or furniture. It’s safe and easy and you won’t be worried about your inventory. A van removal service doesn’t have to be hired for an entire afternoon. In fact, a removal van can be chosen for an hour. If you’re moving and don’t have long to do so, this is very convenient. This is because you can move boxes into a new home soon after being given the keys to it. Just like in other cities in the UK, there are plenty of options to choose from when a removal van is required. Professional removal companies could be hired or those which help people move in their free time. When searching for a removal company, it is recommended that you spend a long time on doing so. By getting in touch with a removal company via email or telephone and asking about their experience, you can determine which one should be hired. You could even search online for testimonials by previous customers of theirs. It is very important that numerous quotes are obtained. Some removal companies might reduce their prices considerably when a vehicle is hired for a short period of time. By stating how long a vehicle is needed for, an accurate quote will be given. A van doesn’t have to be hired when moving home. This is because it could be chosen for picking up furniture which has been bought online. The cost for delivery which is charged by a furniture retailer could be much more than what a removal man asks for renting a vehicle for an hour. It is also more convenient too. This is because you won’t have to wait at home for what you’ve ordered to be delivered because you can pick it up yourself. If much of your home has been decorated and there is a lot of debris, it should be taken to a local tip. When your car is not very big, it can take a long time to transport debris to a tip. It can even cause damage too. However, a removal van is very convenient. This is because debris can be transported in a single trip. Even if a van is hired for an hour, several trips to a local tip can be done. Although it is an extreme example, you could choose a van for getting to a job interview because it is cheaper than public transport. If you’re concerned that you will be late for an important job interview, you could pick up a vehicle from a hire company that has many offices. You could discover that a vehicle can be dropped off in the same city which your interview is being held at. This is because the company it was chosen from has premises there. If you want to buy a van but aren’t sure which one should be chosen, you could rent it for a short period of time. A test drive doesn’t last for an hour and can be for about fifteen minutes. When a removal van is hired for an hour, you can test drive and check to see if it is the one which you will then buy. This option is suitable if a vehicle manufacturer does not have a showroom in the city which you live in. Therefore, you can drive multiple vehicles and probably won’t have to pay a lot of money either. Choosing a removal van on a short term basis is beneficial on many accounts. Why not consider it if you need a vehicle for a couple of hours or just sixty minutes? A good businessman must possess the necessary qualities to go through a removal of its company from one place to another at least once. As a leader of a company you will be exceptionally lucky if you actually manage to protect your moving company from going through an office removal at all. This however is an unlikely possibility unless you are a superb genius or unless you are happy to continue with the very same pace. Usually successful and ongoing businessmen choose to keep the business at the same place and not go through the trouble to relocate the whole thing with the risk of ruining it. However, for those of you who are bold enough to attempt it and take the chance, you must be aware that you will have to follow several main steps in order to properly complete your business removal. These most important steps first and foremost begin with choosing the appropriate location for your location. The new location should be able to offer you better business offers and better long-term opportunities for a development of your financial successes and business. After you have chosen a location that comes as close as possible to the one hundred percent success of your business company you need to start looking at the location as a suitable place for your employees. You will conduct a research or a questionnaire in advance in order to find out where do your employees live and then you will be searching appropriately the location. In fact it is better to begin with searching the most suitable location through those ones that will fulfill the comforts of your removal in the best manner possible. In truth there is no point whatsoever to search for a new location for your move if you fail to bring at least more than half of the employees that were employed at your firm beforehand. In fact even the omission of several ones of them might result in the lowered quality of the functionality of your business especially if we are talking about important high-ranked employees. So, every time that you are doing a business removal you have to make sure that the least thing that will get damaged or in all honesty if you are looking to make the perfect decision not damaged at all is the process of work. There is no point at all to do a removal if this removal in any way will damage your process of work. Then you will have to take care more individually about the working spaces and the offices of the building. You need to remember that once again you need to contact your employees and every one of them for that matter and understand all of their individual desires and ideas about changing and from there improving the old offices in the face of the new ones. Providing comfortable working space for your people is quite essential because you will be in charge of those people after the removal and this will not only greatly increase their respect for you the improved environment will also successfully manage to boast the working rates and will successfully support the working process and the efficiency of the job getting done. To sum up you need to take care and participate in the preparation and the work connected with every stage of the business removal-with some stages more efficiently and much more self-indulgently but ultimately you need to make vital touches in each and every one of them throughout the entire process.